If you are planning a friend’s baby shower, I have 6 free printable baby shower games that you should order or download right now! Some of these I have actually USED and they were so much fun. Baby showers are wonderful occasions that are simply joyous and filled with celebration, but you have to keep the party moving. Guests are constantly looking for action and entertainment. I don’t know why that is, but it’s true. So, keep the ladies busy and do it on a really low budget with these great tips. I’m telling you – it’s the small details that really make a party. How do I know this? Because after 13 years of marriage and 3 babies, I cannot COUNT how many baby showers, bridal showers, and weddings I’ve attended over the years. 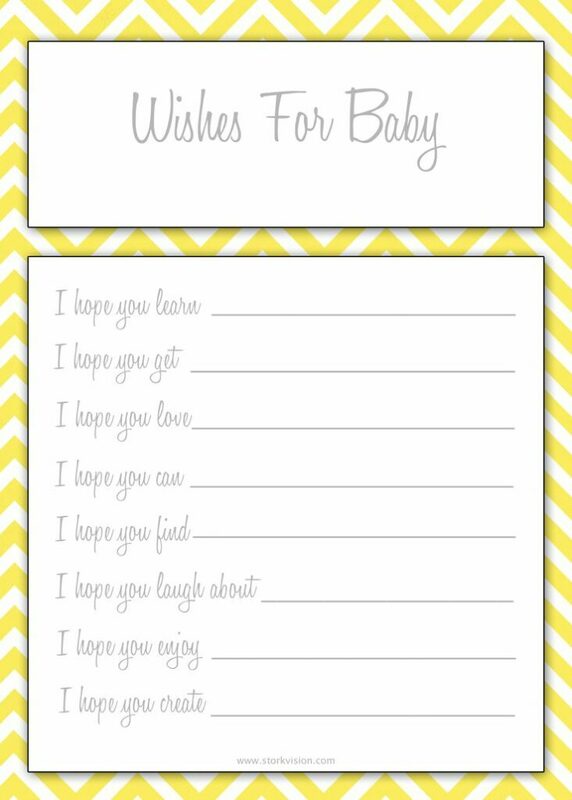 While guests are sitting down and finding their seats, have them fill out a “Wishes for Baby” form. Let everyone know that you will be collecting these to create a scrapbook at the end. This way they can take extra care of their sheet. Last thing we need is tomato sauce on the back of a wish. * Expert tip: Have double the amount of pens you think you should have for the group. Somehow, these always get lost along the way. The godmother should hopefully be present and on hand to help out during the present opening portion of the party. 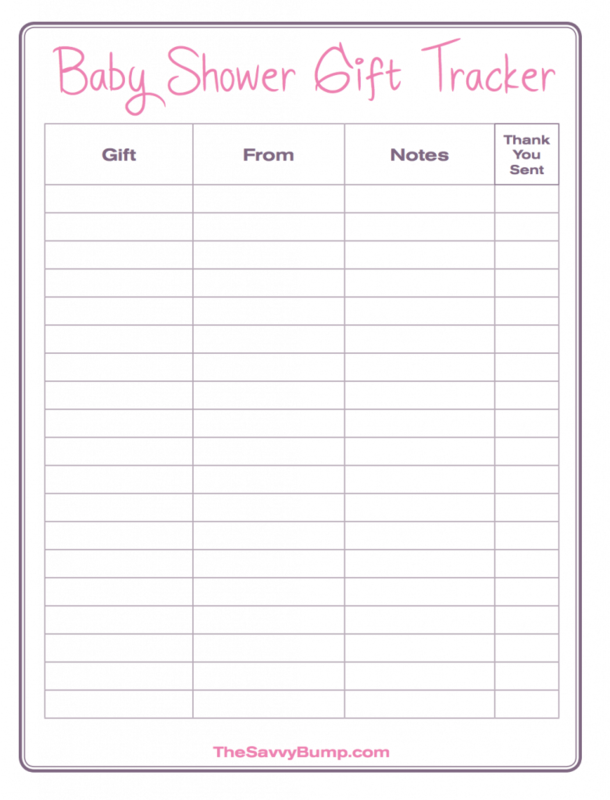 Instead of using the back of an envelope (ahem – like my family did), consider printing out several of these Baby Shower Gift Tracker sheets. I LOVE THEM! What an organized way to get the job done. The notes section – in particular – caught my eye because the mother-to-be will get a dozen blankets. Now, there’s a way to differentiate between the lot. How fun is this?! 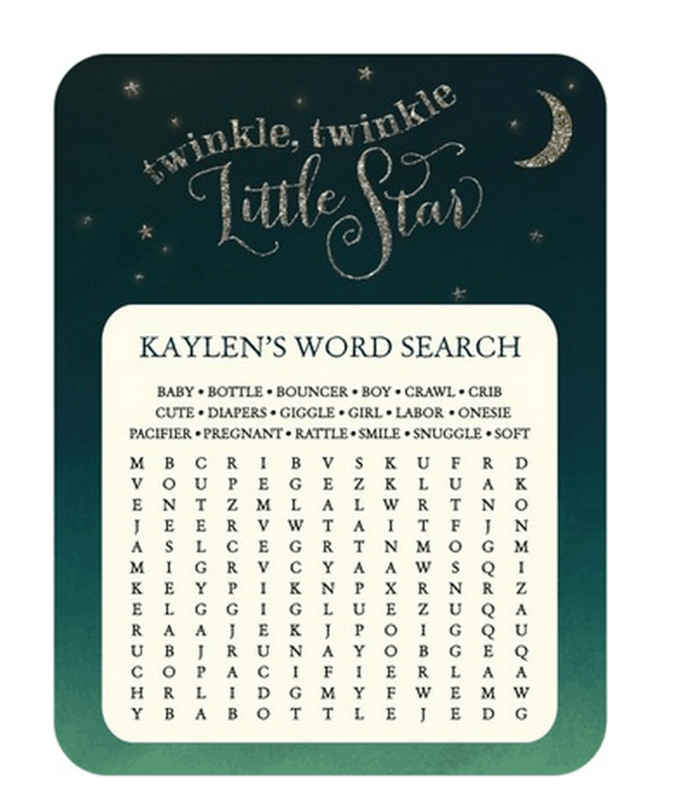 You can customize a word search with either the mom’s name or the baby’s name (if it’s been announced) and have the guests race to the finish line. With words like “giggle, rattle and bouncer”, family and friends won’t be able to hide their grins while completing this task! Somewhere between the pasta and the salad, pass this next game around. Baby Babble is a fun, timed game where the first two or three winners should be able to take home a prize. Head to the dollar store and pick up a few trinkets to pass out throughout the afternoon. You don’t have to spend a lot of money to keep the energy up and alive. A win is a win! 5. What’s In Your Purse? Now, this Free Printable Baby Shower Game is one that I’ve played and LOVED. When I attended a bridal shower last year, I was asked to open up my purse and check off all the things that I was carrying. 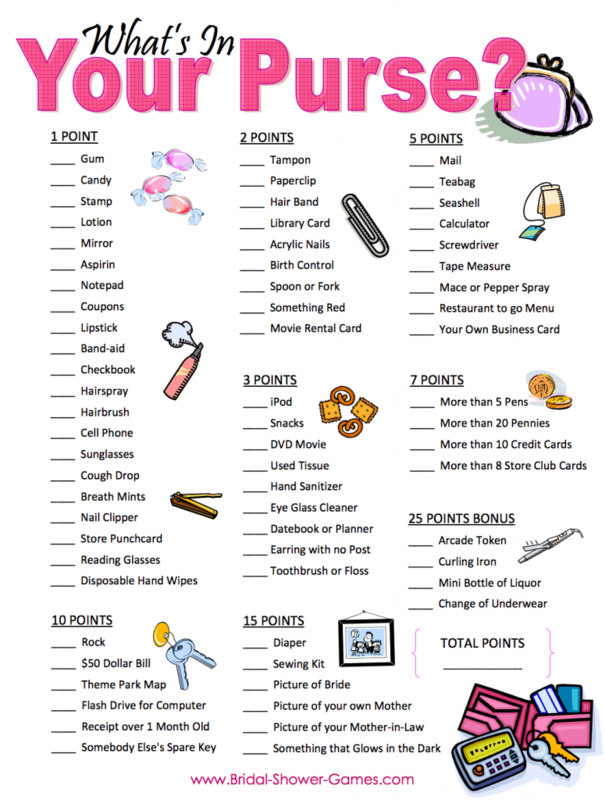 I couldn’t BELIEVE how many points I accrued! I carry a lot of things! My table won for most points and everyone took home a prize. Believe me, add this to the line up. Everyone was cracking up! Good times! Want to be the friend that gets the best bottle of wine for her birthday until the end of time? Order the mom-to-be customized thank you cards and write the thank you message out for her so she can hand those puppies out with the shower gift as the guests are leaving the party at the end of the day. I found the sweetest styles at Tiny Prints. Every shower I had (bridal and baby) was introduced by Tiny Prints. I’ve been using this company for years. It’s simple for me! I know they have quality products and I know that what I want is going to come out exactly how I want it – every single time. Heck, even my business cards are from Tiny Prints… but that is a horse of a different color. 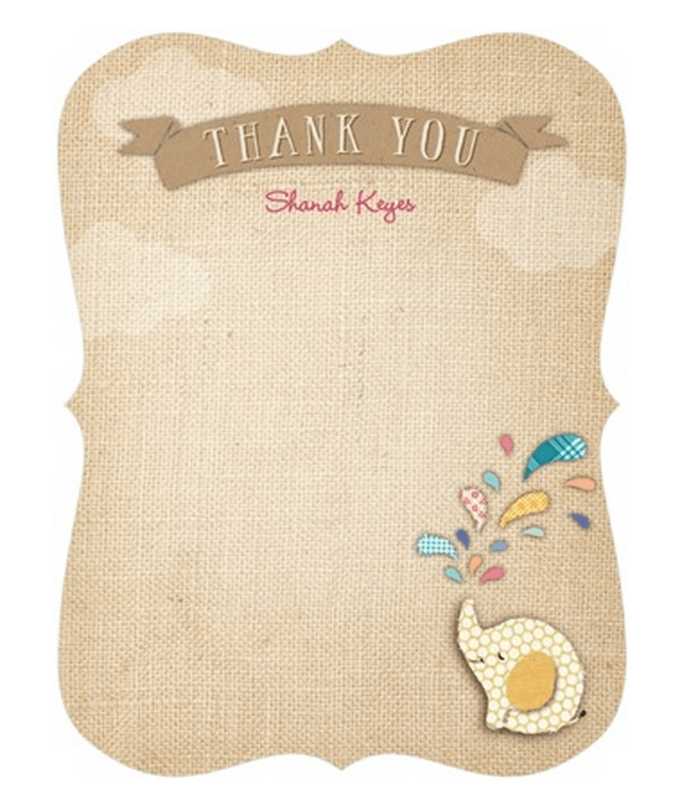 Keep the Thank You Card message simple. “Thank you so much for being part of my special day. Can’t wait for you to meet my new special bundle of joy.” If you don’t want it to be a complete surprise, let the pregnant mom know that this is a gift you are providing her and allow her to word the thank you message ahead of time. You can then write out her prepared message once the cards arrive, and you’ll handle the ordering and shipping. Because Tiny Prints offers an online mock-up before they go to print, you can make sure everyone is happy with the look before you go ahead and submit for final processing. I LOVE this about the company. I need that extra CHECK. Having the thank you cards done in advance will be a lifesaver because, during the time a woman has her baby shower, she is knee deep in last minute prep. Writing out thank you cards will be the last thing on her mind. Do you have any ideas that you’d like to share? I’d love to hear what you have to say about baby showers. And remember, once that precious baby arrives, you’ll want to send out the announcement right away. Tiny Prints has dozens of styles to choose from and one is more beautiful than the next. This is another great way friends can get involved! Chip in and gift the family a professional photo shoot and then set up the baby announcements for the couple while they enjoy their first few moments with their new addition. All you need are the basics – name, date, time, height and weight! Odds are they are sending the announcement to everyone who attended the baby shower, so have those labels on hand for mom as well. One less thing for her to worry about! 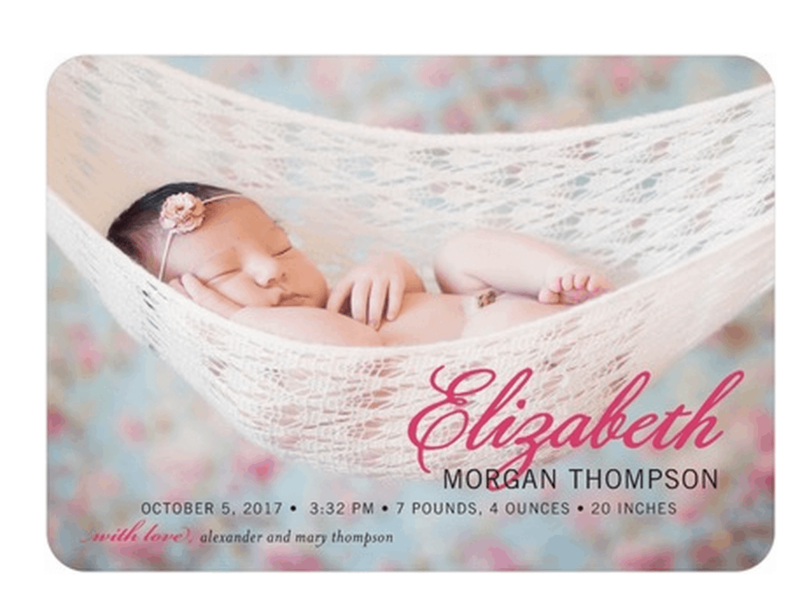 Tiny Prints has baby birth announcements that match Thank You cards! So, you can coordinate the set or you can have fun and mix and match different styles that catch your eye. Which of these Free Printable Baby Shower Games did you like best?